Think you know the story of the stately James Gamble Rogers house that moved to escape the wrecking ball? Betcha don’t know this story. Because this house move took place without fanfare, without a massive fundraising effort, without widespread media coverage. 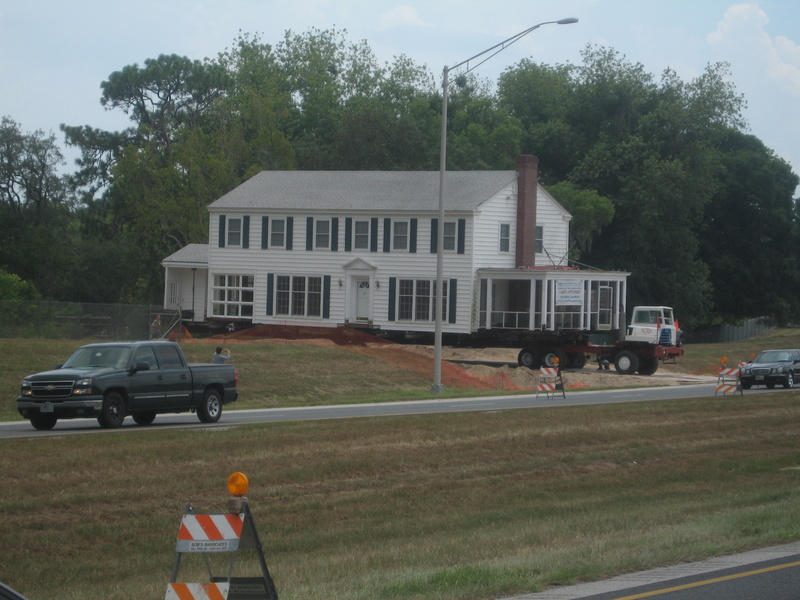 Unlike the Capen House, or the Barbour House before it, the Lomax Gwathmey House move took place in Ocoee (you heard right—Ocoee), enabled by one man’s appreciation for architectural history, quality construction, and just wanting to do the right thing. 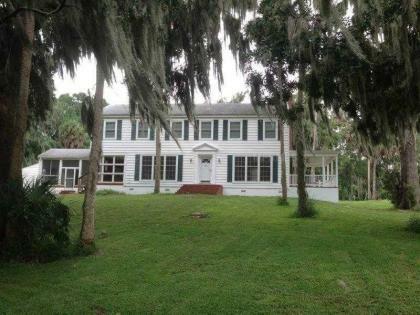 The story begins in 2001, when David and Michelle Leon went out for a Saturday drive, in search of a house off Ocoee-Apopka Road that they had seen advertised. They never made it to their destination—instead, they got lost, and stumbled upon the Gwathmey House on Medicine Lake in Apopka. Not knowing it was a Gamble Rogers home, they were attracted to the large Georgian Colonial for its traditional design and its private location. It was then they learned that the house was likely a Rogers design, and that it had been altered very little in its then 63-year history. 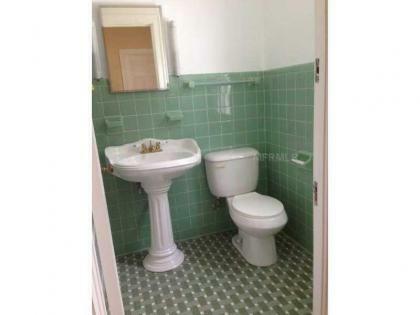 The house had been built in 1938 for Lomax Gwathmey, an eye doctor and citrus grower. His brother George, also a physician, lived around the cove on Medicine Lake, hence its name. While the actual house drawings have yet to be unearthed from the Rogers archives, The Architecture of James Gamble Rogers II in Winter Park, Florida, the definitive book on Rogers’ work, lists a home built for Lomax Gwathmey in 1938 in unincorporated Orange County, and author Patrick McClane recalls seeing the plans when researching the book. After the Gwathmeys, the home had been owned by only one other family, the Coulantes, before the Leons entered the picture. After they moved in, the young couple felt that they had landed in clover. And while they had only been vaguely familiar with Rogers’ work and reputation at closing, over time, they became increasingly enamored with the architect’s handiwork. David ticks off several Rogers trademarks borne by the house: cross-trusses in the attic for extra storm protection, symmetrical door placement, highest quality construction materials, a characteristic curvature in the custom banister, and a masterful attention to detail. 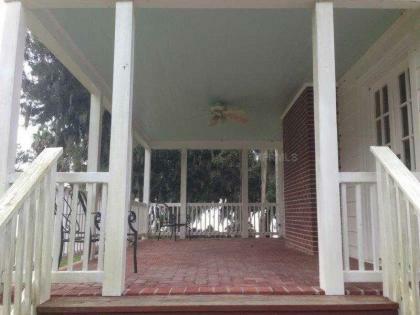 Case in point: the side porch, which is open now, was initially screened. Rogers had built in a 2” hinged lip where the screen met the floor, for easy sweeping. The house’s light-flooded interiors boast a large traditional living room with fireplace and built-in bookcases, gorgeous original wood floors throughout, a sunny breakfast room, an oak-paneled office and airy upstairs landing, nooks and crannies galore, and original bathroom tile and tubs which traditionalists find charming—and they’re correct. 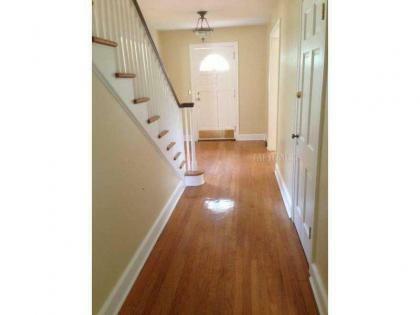 It features the kind of foyer Robert Young would have come home to, with Princess, Bud and Kitten tumbling down the stairs to greet him. And the Leons loved all these things—but after their first daughter was born in 2003, Michelle began to feel isolated. As an aspiring law partner, David worked many late evenings downtown, and Michelle felt vulnerable at home with a young infant in the middle of an 18 acre spread. Thus, it seemed written in the stars when a deal came about in 2005 that would enable them to keep the house they loved, but move closer to civilization. Envisioning – what else?—multi-family housing, a developer offered David and his neighbor a tidy sum for their combined 40 acres of Medicine Lake property, and agreed that David could keep the house if he moved it off the land. 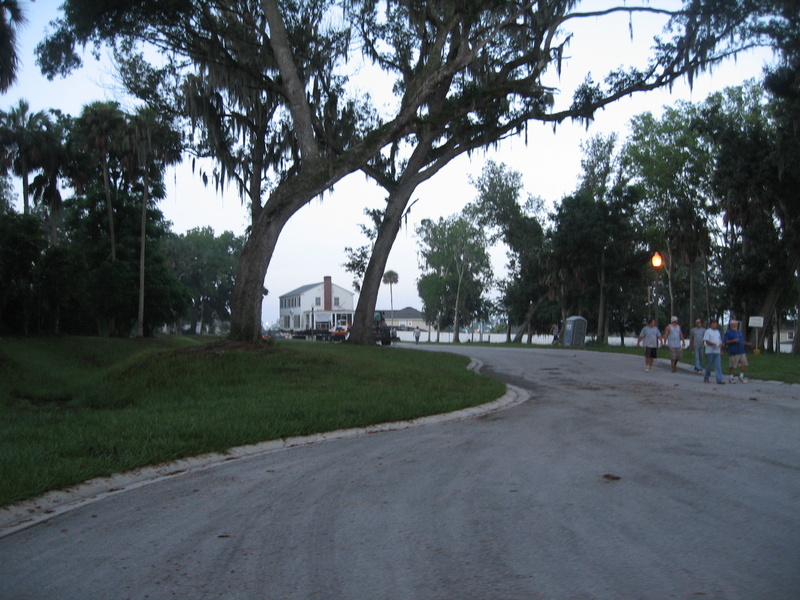 Soon thereafter, the Leons found the house’s current lot—just over an acre on the shores of Lake Apopka, about 2 miles away as the crow flies. The Leons began planning for the big move. First, the family of 3 found a house in Winter Garden, to bide their time while the Gwathmey house was prepared for the move, relocated, and then outfitted with a new foundation, a process David estimated would take a few months. Next, they hired Mike Hodge, the contractor who had provided the labor for the Casa Feliz move in 2001. They came up with what David calls the “parade route,” a 7-mile itinerary that involved the dismantling of phone and electric lines, cooperation from the City of Ocoee, Orange County Sherriff’s Office and the Florida Highway Patrol, and special permission from the Expressway Authority to close down Route 429, the “Western Beltway,” in Apopka. 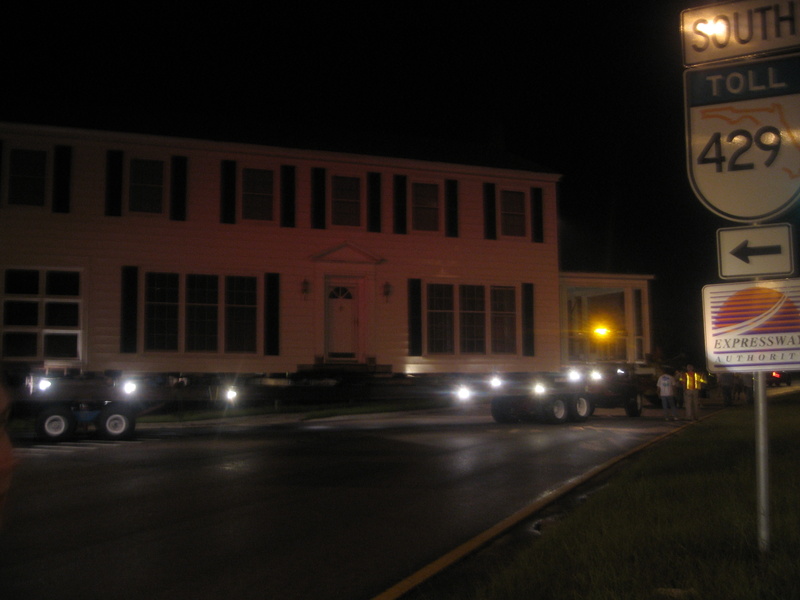 This was the most dramatic part of the August 13, 2006 move—rolling the Gwathmey House onto the expressway in the middle of the night and hauling it several hundred yards before rolling it down the exit ramp. David recalls a couple onlookers—one young woman who jumped aboard one of the pickup trucks before being ejected, and a drunken motorist who complained to the moving crew about the disruption, but for obvious reasons had no interest in escalating his gripe to the sheriff’s deputy. “It’s interesting who you meet when you’re moving a house in the middle of the night,” he laughs. The move received surprisingly little media coverage–perhaps because it occurred at night, or perhaps because no one was trying to raise funds for it, or perhaps because of the relatively remote location of the move. No matter—David and Michelle witnessed the whole journey, walking behind the behemoth house while pushing a stroller containing their two-year-old, who slept most of the way. 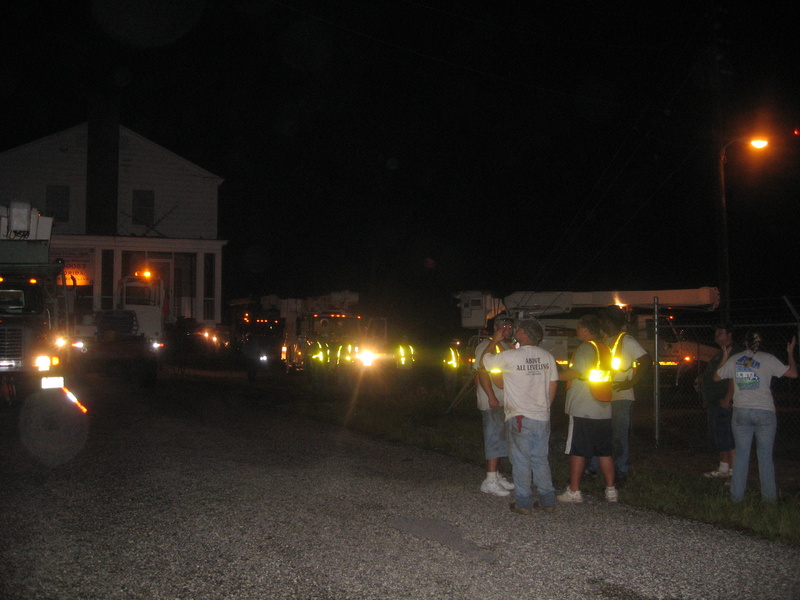 The cavalcade also included the sheriff’s deputy and Ocoee police cars, phone/cable trucks, Florida Power vehicles, the semi and two front-loaders propelling the house, and the moving crew’s pickup trucks. David describes the nighttime adventure as “surreal.” The pneumatic lifts supporting the house could raise and lower the house to keep it level with variations in the road, and to navigate over about 50 mailboxes, which otherwise would have had to be relocated. But you know what they say about the best-laid plans. By the time the prep work was ready to begin at the Lake Apopka lot, a neighbor had sited his new home in an unexpected location, causing David to have to go back to the drawing board. They brought in 100 loads of dirt to re-terrace the site, and then it took a perfectionist bricklayer he hired over a year to build a stem wall. Then there were further complications, involving the construction of a second stem wall, and by the time all was said and done, the Leons had been out of the house for 3 years. In the meantime, the land deal which necessitated the moving of the house to begin with “fell apart when 2008 happened,” according to David. 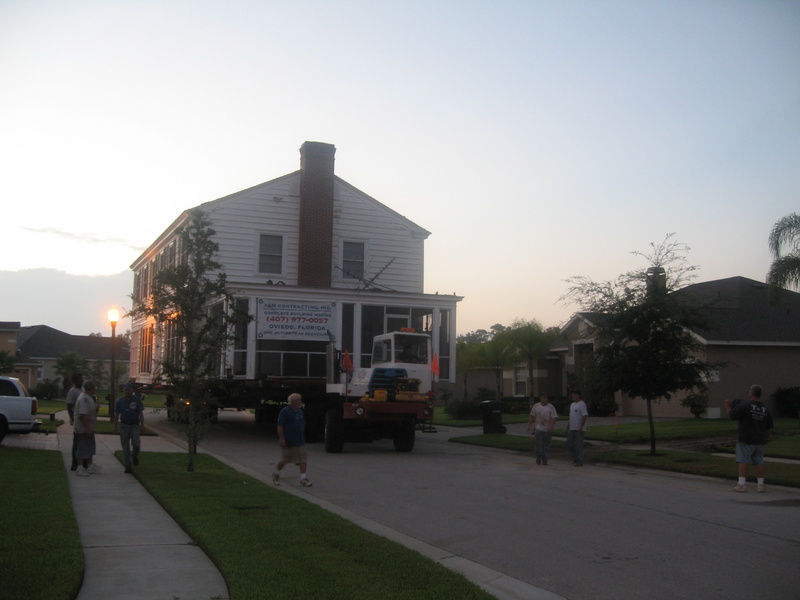 The Leons had spent more than $150,000 and years of their life relocating a house that didn’t need to move. 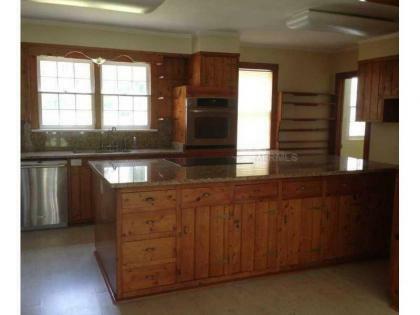 And here, dear readers, is the silver lining of the story, for one lucky buyer: the house is now for sale. David in particular has mixed emotions about parting with the house he moved hearth and earth to save; but the family of four is now rooted in the Winter Garden community—the girls like their schools, take ballet lessons closeby, and have bonded with their neighbors. Plus, they’ve moved on to a new project—restoring a beach house in Siesta Key, near Sarasota. Their sacrifice will be someone else’s gain. 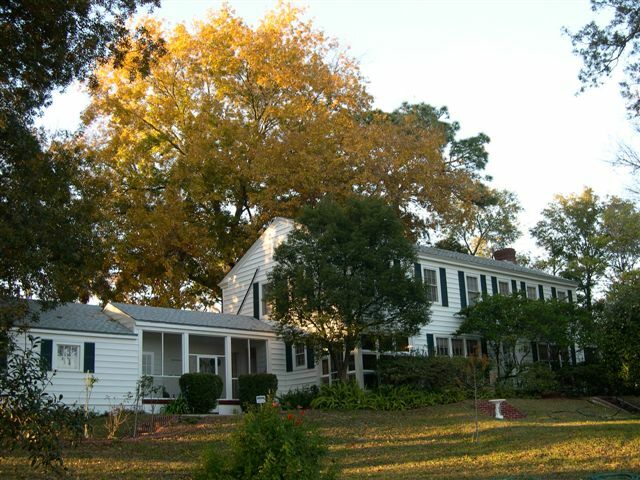 The bucolic lot offers a sweeping view of Lake Apopka—one of four houses on the eastern shore that have access to the lake. There was a time when this might not have been much of a selling point. In 1980 the state’s third largest lake was declared a Superfund cleanup site by the EPA, due to the decimation of its ecosystem caused by chemical pesticides. Fortunately, now more than 25 years into a massive reclamation effort, the lake has seen dramatic improvements in water quality. These days, it’s not unusual to see people jet-skiing and fishing in Lake Apopka, which would have been unthinkable two decades ago. Scientists project continued recovery, which will surely buoy land prices of lakeside property. In addition to the 3,200 sq. 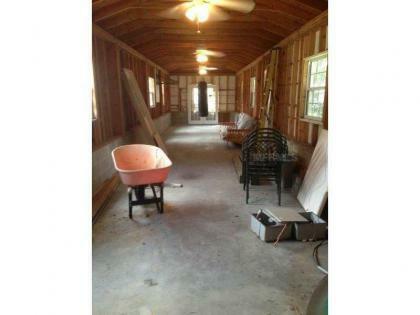 ft. main house, there’s a huge garage, suitable for a fleet of 8 (!) vehicles or a home gym/work space, plus a separate utility shed. You can see a marketing video of the house here: https://www.youtube.com/watch?v=zYs3xaoB7wI. 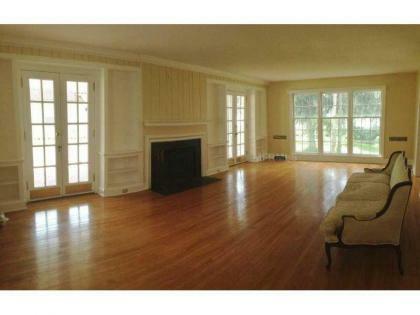 The asking price for the Gwathmey House is $624,900. Contact Glenn and Donna Cox, realtors, if you’re interested in seeing the property in person: 407-694-8685; glennanddonnacox@gmail.com.